he Engulfing Candlestick is the most common price reversal candlestick pattern. You can learn how to spot this useful pattern by studying the following charts. 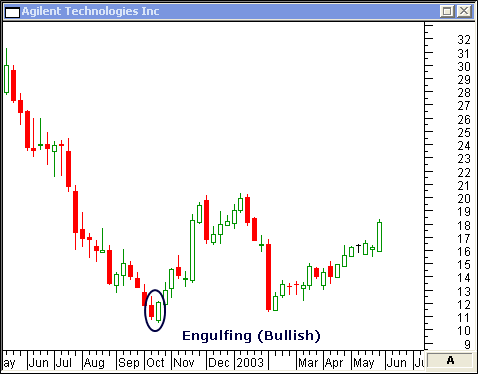 The weekly chart of Agilent Technologies Inc shows a typical Engulfing reversal in October 2002. It is not unusual for the price to re-test a reversal area as it did in February 2003. 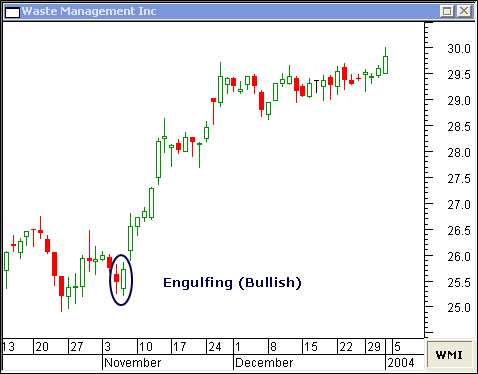 The November 6 reversal pattern on this daily chart of Waste Management Inc occurred on a re-test of the October 24 open. 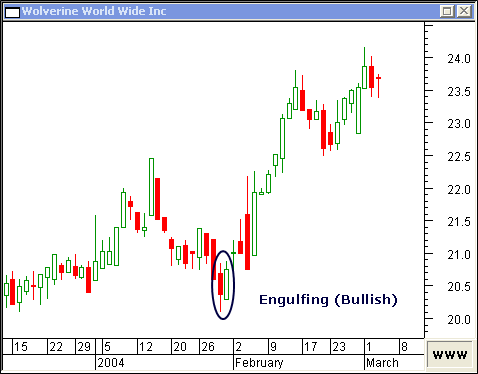 The January 30 Engulfing pattern on this daily chart of Wolverine World Wide Inc is typical. Remember, you must wait for the next day's candle for confirmation. 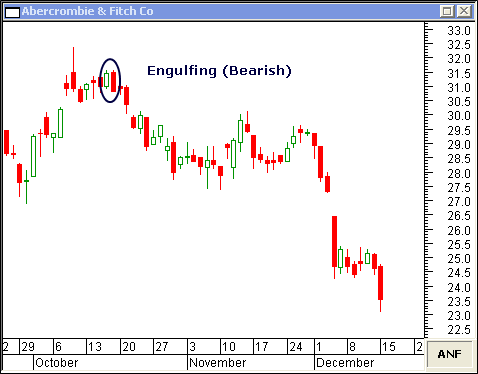 The Engulfing candlestick pattern works just as well for bearish turning points. The October 17 reversal occurred after a re-test of the October 9 open in this daily chart of Abercrombie & Fitch Co. 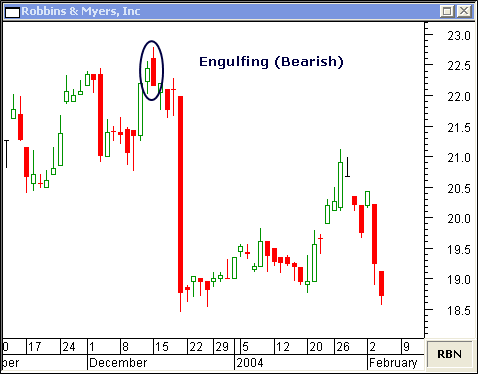 The December 15 Engulfing pattern forecasted a major sell-off in this daily chart of Robbins & Myers, Inc. 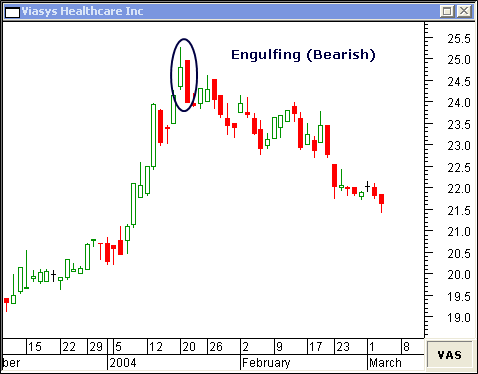 The January 21 reversal in Viasys Healthcare Inc was the re-test of the February 2002 high (not shown).